Swayambhunath Temple in Nepal is one of the oldest and most sacred Buddhist temple in the whole world. 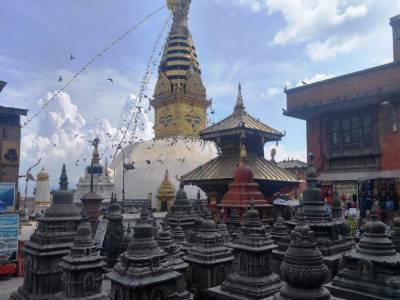 The Swayambhunath Temple is located in the famous Kathmandu Valley of Nepal, a little bit to the west of the city of Kathmandu at a hilltop. The Swayambhunath Temple is known as the Singgu Temple, both of these mean the same - self sprung or something that emerged out by itself. 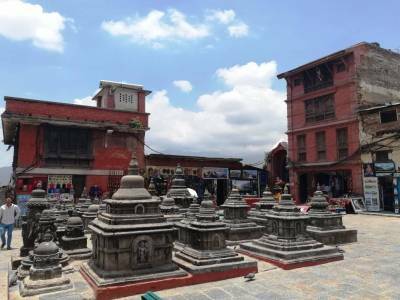 The temple is indeed one of the ancient Tibetan religious establishments in Nepal and its construction date is not very clear but from a certain stone tablet it may be confirmed that the Swayambhunath Temple was erected by the order of King Mana Deva sometime in the 7th century of the Common Era. The Swayambhunath Temple is one of the most attractive monuments of Nepal. There is a legend that the man of wisdom Majushsri was on carving the hill when he had a vision of the divine lotus. On removing the lotus of Lord Swayambhu the whole water of the land was drained out and hence the present valley of Kathmandu appeared. The Swayambhunath Temple is basically a gleaming stupa with small stupas surrounding it. Atop the main stupa there is a towering spire which is the manifestation of the eye of the Buddha. The spire is gilded with gold and the white and golden colour combination brings forth the tranquillity of this temple. The temple is a sacred Tibetan Buddhist temple but it is also revered by the Hindu pilgrims. 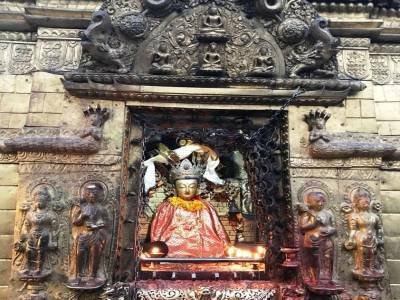 The position of the Swayambhunath Temple and the structure of the temple manifest the feel that the eyes of the great Buddha are watching over the Kathmandu Valley. The temple is also called the Monkey Temple because of the huge hoard of monkeys living in the premises. The Swayambhunath Temple is a great crowd puller. 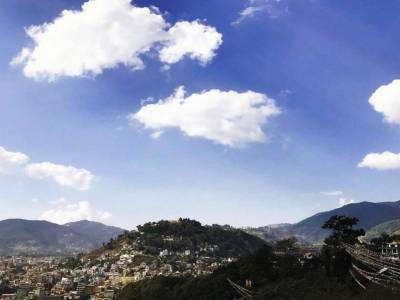 The panoramic sunset from the Swayambhunath Temple is the USP of this tourist spot. 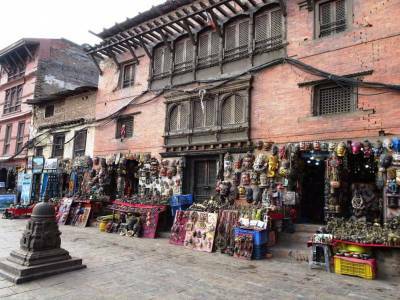 Get quick answers from travelers who visit to Swayambhunath Temple.